J. Travis Wilkinson, PB, QS is CEO & President and the founder of Pinellas Tax, Inc. 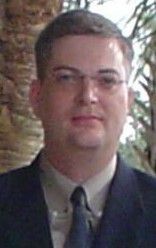 Previously Wilkinson served as a Corporate Consultant, Accountant, Financial Analyst, and Manager for companies such as The Sembler Corporation, Forensic Technology, FIS, GE Aviation/Smiths Areospace, Mellita USA, Aegon/Transamerica, Hav-a-Tampa/Altadis, HealthPlan Services, United Rentals, and Walt Disney World. In more than 20 years serving in these capacities Wilkinson has saved Corporate America over $100 million through an array of innovative cost saving measures. Prior to joining Corporate America, Wilkinson served in the U.S. Army Corps of Engineers as a Combat Engineer. Wilkinson holds a bachelor's degree in finance from the Warrington College of Business Administration, University of Florida, Gainesville, FL. He is also a Certified Professional Bookkepper(P.B. ), A Certified Quickbooks Specialist(Q.S. ), a Licensed Electronic Filer with the I.R.S., A Licsensed Paid Tax Preparer with the I.R.S., and a State of Florida Notory Public.